How to value art | Greg C. Brown & Associates, Inc.
Greg C. Brown & Associates, Inc.
Yiwei Zheng, an excellent example of why not to deal illegally in ivory and endangered species! who has been arrested for being a trafficker in illegal ivory and rhino horn, minimally! If this all holds up to be true, which it appears it most likely is, this “Professor” deserves to go down for the rest of his life! He thought he was smarter than everyone else and therefore the rules did not apply to him. He wanted to play dishonest games that endangered our world heritage, and now he needs to be willing to accept the consequences of those actions equally to the greedy payoff he was seeking. If this is all true, clearly he was not smarter than everyone else, and he got caught red handed! If true, he is exactly the kind of person who is driving the extinction of the elephants and rhinos! I am shocked that St. Cloud State University is allowing him to continue teaching, shame on them! That is a poor decision when the charges are so sever and his behavior so blatant and arrogant! Is that really what St. Cloud State University wants to project to the world, that they support criminal traffickers in endangered species? I hope not, as a Minnesota Native. If, from the start, he would have just worked with United States Fish and Wildlife Services (USFWS), I am fairly certain he could have done very well for himself, his family and the world, he instead figured he was above the law and greedy! Let the cards fall where they may. Individual fines for selling ivory illegally can be in the hundreds-of-thousands of US dollars! And, enforcement of the existing laws have been increased significantly since 2014. We have a direct relationship with the USFWS so that we can give our clients the most accurate advice on their ivory, rhino, and other endangered species art, antiques and artifacts! This is what we do, and we do it right from the beginning! If you need help with your unknown pieces, then please feel free to get in touch. Greg C. Brown, M.S., ISA AM. Tagged AAA, African ivory, appraisals, ASA, Asian ivory, Buddhist Sculpture Appraisal Guanyin Guan Yin Kuanyin Buddha value, Chinese, Chinese antiques, Chinese art, Chinese artifacts, expert, fossilized ivory, high-end, huge money, Illegal ivory, Inc., ISA, Ivory Appraisals, ivory rules, Japanese, Japanese art, Minneapolis Institute of Arts, professional appraisal, The Amazing Terracotta Warriors Exhibition at the MIA., the best, Tibetan, valuation, Valuations, value, values, Why Credential Professional Appraisers should be used! New world record fine art auction hammer price! WOW! Check it out, this is amazing! WOW! Enjoy the read, Greg C. Brown, M.S. ; ISA AM. Tagged AAA, appraisals, ASA, Buddhist Sculpture Appraisal Guanyin Guan Yin Kuanyin Buddha value, high-end, huge money, Inc., ISA, Minneapolis Institute of Arts, professional appraisal, valuation, Valuations, value, values, Why Credential Professional Appraisers should be used! 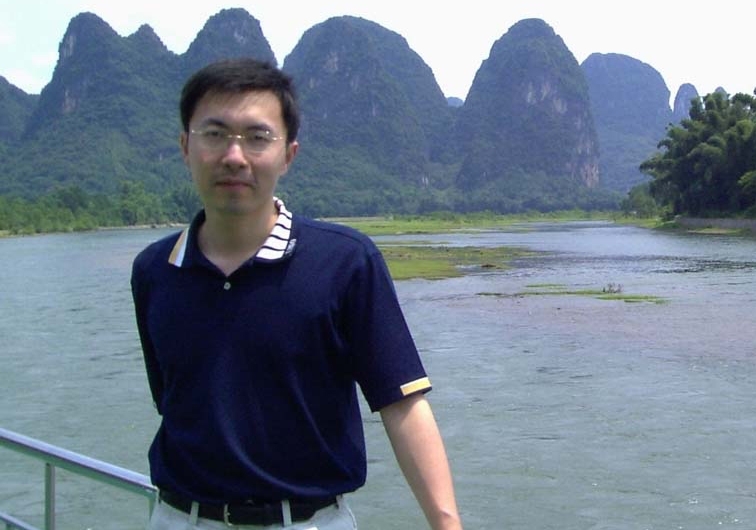 The basic story of Yuanminyuan, and why China has a right to be militaristically defensive! I have walked this location with my best friend from China on my first trip ever there in 1999. It was very moving, and it was profound how few Westerners were there to understand. This is part of the truth about how the west treated China in the 19th century, and is in large part why they have slowly but surely developed a stronger and stronger military. It is also akin to why Jewish art must be returned to the ancestors of the owners after the Nazis took it in WWII. My issue is, until really the late 20th century, this was the world rule, when you concurred another country/culture, all spoils of war were taken permanently by the winning party… So, should China be required to give back all art and antiques from the Mongols, etc…? What is fair, it is a very hard questions, but it MUST go both ways, regardless of the country. Enjoy the read, Greg C. Brown, M.S., ISA AM. Tagged AAA, appraisals, ASA, Asian ivory, Buddhist Sculpture Appraisal Guanyin Guan Yin Kuanyin Buddha value, Chinese, Chinese antiques, Chinese art, Chinese artifacts, Chinese Porcelain, expert, high-end, huge money, Inc., ISA, Minneapolis Institute of Arts, Processional Appraisers, professional appraisal, rare, Sino-Tibetan, the best, Tibetan, valuation, Valuations, value, Why Credential Professional Appraisers should be used! An interesting article about possible proof of the only existing Michelangelo bronzes known to exist! This is a great example of how hard it is to prove important examples of art work and antiques. People often do not understand the extreme importance of provenance and/or factual evidence and/or forensic evidence in authenticating and placing the highest possible values on important antiques and art works. Doing that work is no small process. I am asked all the time to do authentication work, however, people do not understand nor want to pay for that work and expect us to rubber stamp things, which any legitimate art and antiques professional will never do and which far too many un-credentialed appraisers and antique dealers do do. if you want a rubber stamp, look to them, not us, but expect trouble when you want to get your insurance, tax deduction or sell the piece. Authentication can not be done without doing all of the necessary work, period. The commitment must be made to doing ALL of the necessary work every time. It is not cheep, it generally is a slow process, some times painfully slow, but it can be the difference between an appraisal of hundreds of thousands or even millions of dollars , and a few thousands dollars or even a few hundred dollars. Therefore, in the end, if you truly believe you have the real thing, it is more than worth the costs involved in proving it, but you must commit to doing it right from the beginning and not getting cold feet or trying to cut corners. Otherwise, the client does not believe it is what they say if they do not want to commit to the proper and full process of authentication work and spend the money on it. It is much like investing in the stock market, or gambling, you must study what you want to buy/game you want to play, and commit to the belief you know what you are doing, but know that some times you lose. However, if you do your research and training properly and intelligently, you have a much better chance to back up your belief in what you are doing. I had a client who had two potentially important Chinese paintings, but they only wanted to go so far in proving their authenticity, which was not enough, and I explained that to them. I explained that more specialists needed to be involved, but they were only willing to allow one, which is not how to do it. You must have a consensus of experts, and the only specialist-expert I was allowed to consult with to give a second opinion, gave results that matched our preliminary results, which were that 1) we need more work to establish factual evidence, 2) the current evidence pointed to the works being very old reproductions, not originals, and so the expert was in agreement with these initial conclusions, which means, we must state the pieces were not originals. In the end, I had to go with the limited proof that they allowed me to establish, which showed the works were not originals. I actually do believed they may be originals, but without the client allowing all the necessary and proper authentication work to be completed, it is NOT possible to prove. And, thus, they had to be declared not to be originals, until after more evidence was compiled, no matter my personal opinion, as my job is to be unbiased, and unfortunately, that is the only unbiased decision that could be made under the limiting circumstances of the clients. 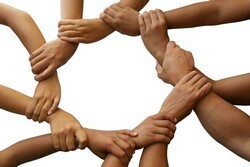 The lesson as a client, you need to be willing to commit to the entire process and trust and allow us to do our work. Some times we will break your heart, however, when we prove authenticity, we will bring elation and significant value. Tagged AAA, appraisals, ASA, Authentication, bias, Buddhist Sculpture Appraisal Guanyin Guan Yin Kuanyin Buddha value, Chinese, Chinese antiques, Chinese art, Chinese artifacts, Chinese Porcelain, doing it right, expert, high-end, huge money, Inc., ISA, Japanese, Japanese art, Mayan, Michelangelo, Michelangelo di Lodovico Buonarroti Simoni (6 March 1475 – 18 February 1564), Minneapolis Institute of Arts, professional appraisal, Provenance, rare, Sino-Tibetan, the best, Tibetan, unbias, valuation, Valuations, value, values, Why Credential Professional Appraisers should be used! Europeans and Native Americans shown to be ~25% related, I’m not surprised! A great new finding has come to light showing just how related we all really are around this little globe we sail through space on together – not a surprise to me! This is a really great revelation in science and the human race at many levels, and has a direct impact on the research that I have been doing on the relationship between the Mongol-Siberian and Native American Shamans. I have said for a very long time that, 1) the migration from Asia to the Americas happened significantly earlier than is currently accepted, and 2) there were a much larger number of migrations and migration routes (and thus mixing of peoples) than are also currently accepted. I have always believed that migrations occurred all up and down the Asian continent and down into the South Pacific, crossing over to the Americas. However, it was not until Dr. Denis Stanford’s fantastic work with the Solutrean Peoples of Europe and their stone point relationship to Eastern Native Americans did I believe that ancient migrations may have come from Europe to the Americans until about the time of the Vikings. However, it made perfect sense to me when I first learned about Stanford’s work from my Uncle, who went to Grad School and did field work with him. However, even though this recent revelation of the genomic relationship between Europeans and Native Americans is not surprising to me, it has not been directly related to Stanford’s work yet, but I think it lends even more credence to it as being that much more possible, as it does similarly so to my own work. Enjoy the read, it is fascinating but commonsensical. “Why are we fussing and a fighting” when we all know we are all the same people? Here is more proof of that. Tagged AAA, African ivory, Alaska, appraisals, ASA, Asian ivory, Chinese, Chinese art, Chinese artifacts, expert, fossil, fossilized ivory, high-end, huge money, Inc., ISA, Ivory Appraisals, ivory rules, Japanese, Mayan, professional appraisal, rare, the best, valuation, Valuations, value, values, Why Credential Professional Appraisers should be used! What ironic timing to the last article! The elephants are next to go extinct! They killed at least 32,000 African elephants last year, with only about 500,000 knows to exist in the wild any more. At that rate, they all may be dead in under 16 years, that means there may be no wild elephants by 2029! We really need to put our trillions of war dollars into making the lives of people in Africa and other poaching countries acceptable, this would be easy, just with a quarter of the US military budget! And, we would still have the strongest military in the world and would still be spending more on it that the rest of the world combined! It can be done, but greed continues to kill people, animals, morals and entire societies! This is part of the Asian arts and antiques industry and we have a responsibility in it too, including prevention! The image below is from the King 5 News article. Tagged AAA, African ivory, Alaska, appraisals, ASA, Asian ivory, Chinese, Chinese antiques, Chinese art, Chinese artifacts, Chinese Porcelain, Dooms Day, expert, fossil, fossilized ivory, high-end, huge money, Inc., ISA, Ivory Appraisals, ivory rules, Japanese, Japanese art, Minneapolis Institute of Arts, Processional Appraisers, rare, the best, valuation, value, values, Why Credential Professional Appraisers should be used! Shame on all humans! 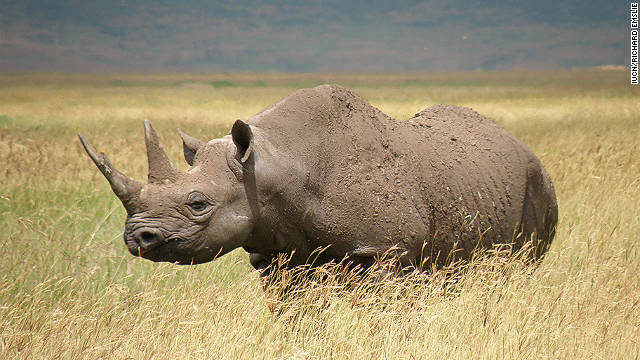 Western Black Rhino has been declared extinct! Oh man! Please read the story in the link above! It is really, really terrible. My heart has sunk when I read it! What a loss to the entire history of life on earth, as there was absolutely no natural reasons for this to happen at this time other than ignorance, stupidity, selfishness and insatiable greed! So, fools, where are you going to earn your money now? I am very sorry for the human race’s inexcusable actions against all of my Black Rhino relatives… The main driving force behind this atrocity is the Chinese medicine industry’s ignorance and lack of desire to simply educate people and find a real solution to offer! In the US, we call this a snake oil sale man, and Doctors who do this are called quacks! Shame on any one saying they are a Healing Doctor who prescribed this, or anyone who preached this path to “health”! Also, the greatest of shame on all Governments including my own and especially China (who would have had the greatest impact on stopping this from happening – if they could end foot binding, they could just as easily change the people’s perceptions of the use of Rhino horn as medicine! ), who do not enforce international laws and CITIES on such critical issues! So, so sad! The image from this article, below, is sadly of a now dead animal that was only recently one of the last living Black Rhinos on earth! We need to start to care and pay attention people, we have become blind to Mother Nature and her vital importance to our long-term survival! We killed off the Steller’s Sea Cow by 1768, only 27 years from first contact in 1741! The Elephants ARE next! Do we really want to kill off the largest living land animals? Tagged 13th B'ak'tun, AAA, African ivory, Alaska, appraisals, ASA, Asian ivory, Black Rhino, Black Rhinoceros, Chinese, Chinese antiques, Chinese art, Chinese artifacts, Chinese Porcelain, expert, Extinction, Extinction is forever, fossil, fossilized ivory, high-end, huge money, Inc., ISA, Ivory Appraisals, ivory rules, Japanese, Japanese art, Minneapolis Institute of Arts, professional appraisal, rare, Rhino, Shame on all humans, the best, valuation, Valuations, value, values, Why Credential Professional Appraisers should be used! Enter your email address to follow Greg's blog and receive notifications of new posts by email. Email: gregcbrownappraisals@gmail.com Toll Free: 1-888-815-9430, with 24 hour voice mail. I am a Professional Personal Property Appraiser credentialed through the International Society of Appraisers (ISA) with the ISA, Member designation. I have taken and passed the ISA Core Course in Appraisal Studies, as well as have taken and passed The Appraisal Foundation's (TAF) 15-Hour Uniform Standards of Professional Appraisal Practices (USPAP) Course through the Appraisers Association of America (AAA)/New York University (NYU). I have attended lectures and taken webinar continuing education courses through the ISA, AAA and the American Society of Appraisers (ASA). I started appraising in 2005 after taking and passing the Certified Appraisers Guild of America (CAGA) Certified Appraiser of Personal Property course and have continued to stay in good standing with them ever since. My Total/Long CV is available for review on my LinkedIn page under the "Background/Summary" section at: http://www.linkedin.com/profile/view?id=18978021&trk=hb_tab_pro_top. 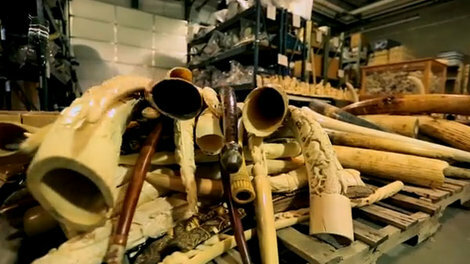 Can you own, buy and sell elephant ivory in the US? What are the rules on Fossilized Ivory? 1-888-815-9430 (24 Hr) and (9-6, M-F, only please) 1-612-386-5858. 9:00 AM - 6:00 PM, Pacific Time, USA.